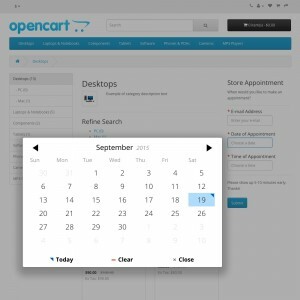 Quickly and easily create any kind of form you want for your OpenCart store! 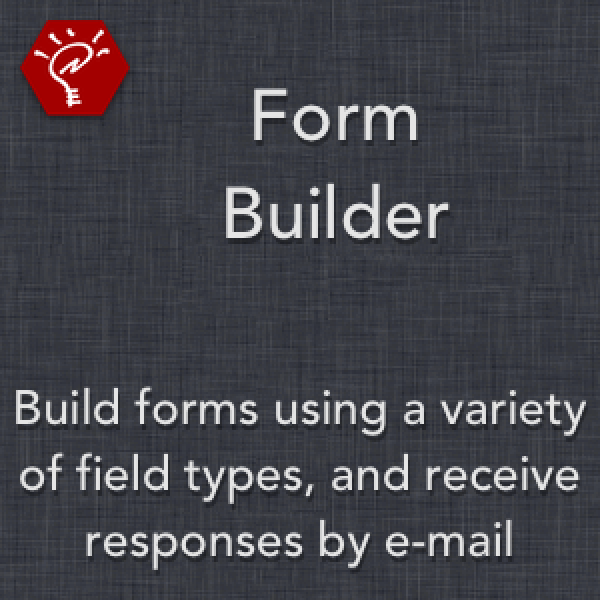 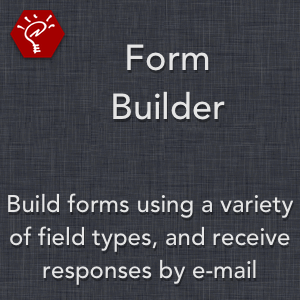 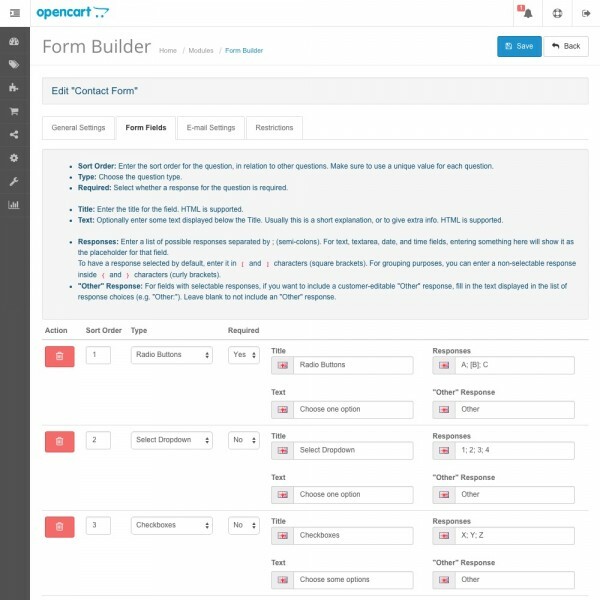 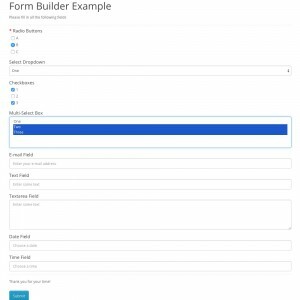 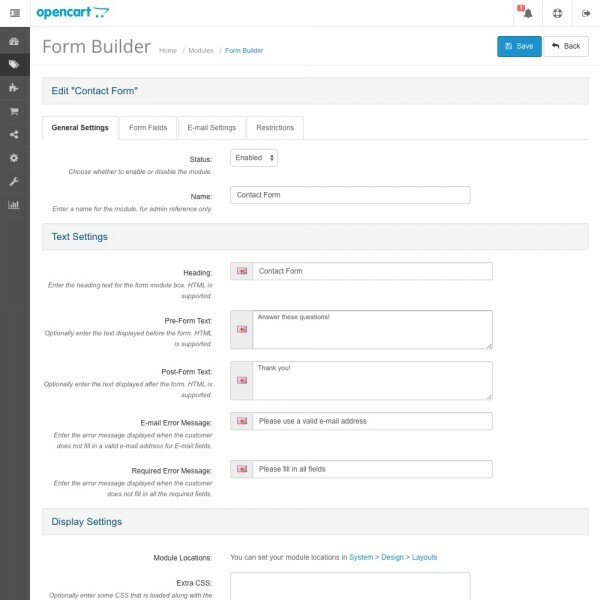 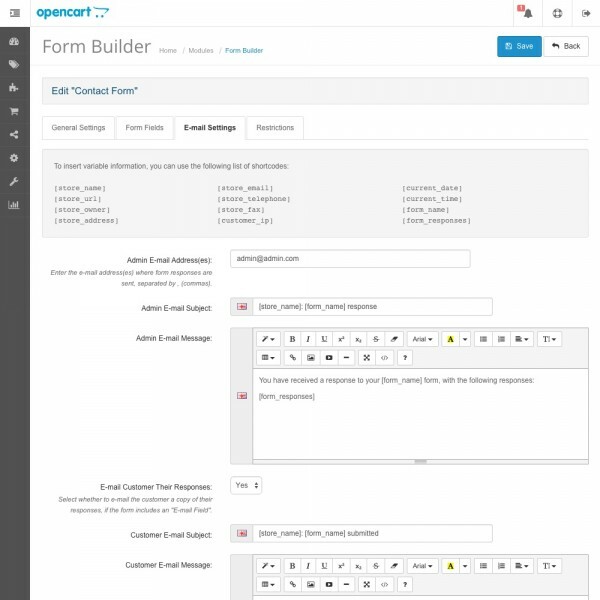 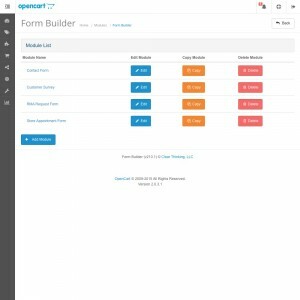 Form Builder can create as many forms as you want, using a variety of field types, and e-mail the results to the administrator and/or the customer. 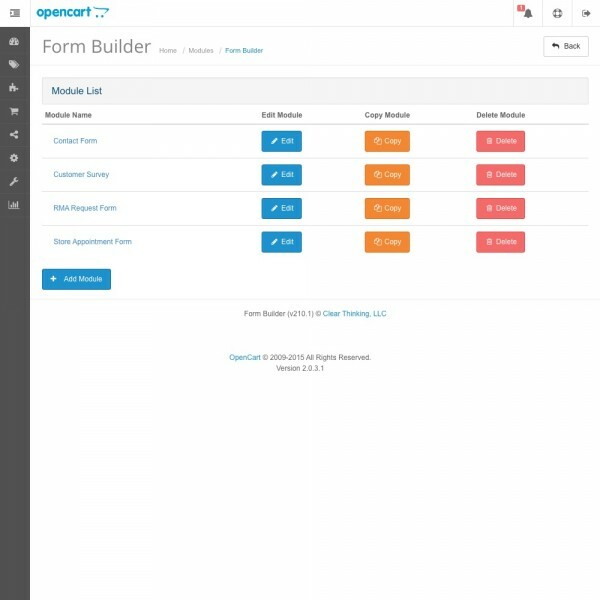 Start expanding the information you collect from customers by creating contact forms, quote request pages, reservation forms, surveys, and more! 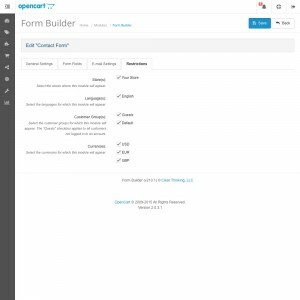 Upload and go — requires no modification to core files. Forms are standard modules, so you can choose where you place them directly from the OpenCart admin panel. 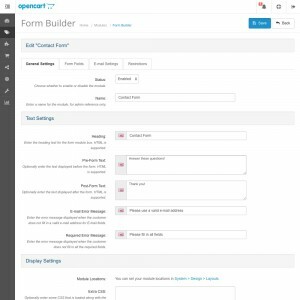 All form validation and submission is done using ajax, which means it can safely be used on any page you want. 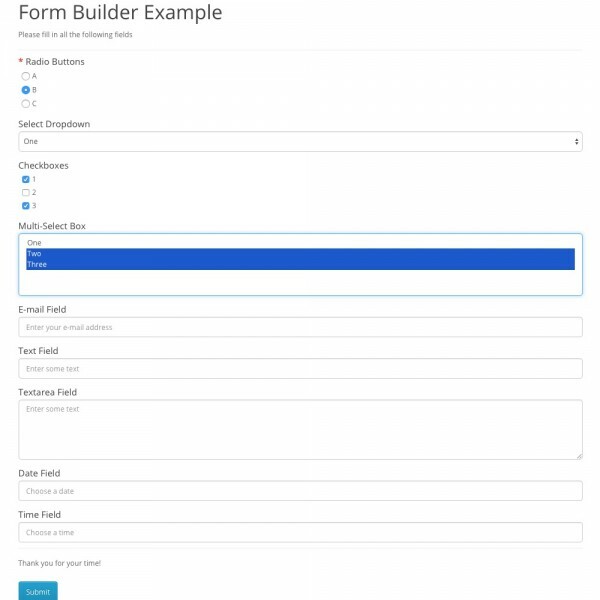 Choose from a variety of field types, including checkboxes, date, time, e-mail address, radio buttons, select dropdown, multi-select box, text input, and textarea input. 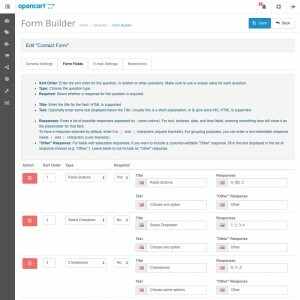 Set all front-end language for the form directly through the admin panel, with multi-lingual support. 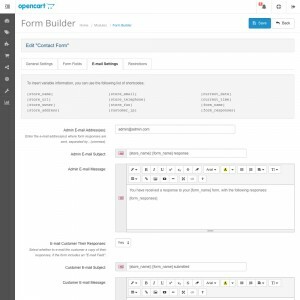 Customize both the admin e-mail and customer e-mail messages, including any store information and HTML content that you want.